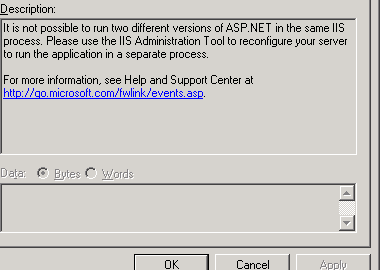 The reason why you get a 404 page not found after upgrading from asp.net 3.5 to asp.net 4.0 running on IIS 6. ASP.NET 4.0 applications must be run in a separate process (Application Pool) otherwise you’ll get the error ‘Server Application Unavailable’. Serving the Longmont, Boulder, Loveland, Ft Collins area in Colorado as well as out-of-state and International clients.